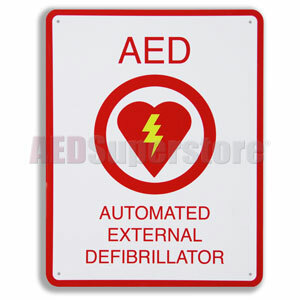 Flat Style AED Wall Sign (8.25" x 11") by ZOLL Medical. Like it, but really wish it had a space to write the location of the AED within our school. AED Superstore Staff Note: Thanks for the comments! We will consider your request when we develop wall signs in the future. We also carry directional arrow signs which can be used to guide people to the location of the AED!